I wish I could take credit for this title because I find it so profoundly accurate to the story I am about to share in this post. Eugene Peterson, the author of The Message Bible, developed this paraphrase from a passage about surrendering our burdens to Christ whose grace never ceases, but flows continually into our lives. 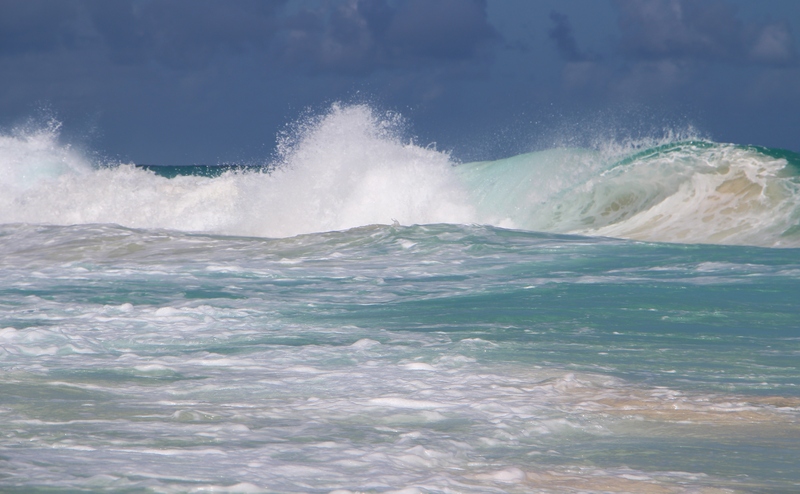 Rather than simply create a word picture, I have included several photos of waves I recently watched and played in off the coast of the Dominican Republic. The time spent at the beach was as enjoyable as one can imagine! I really love waves. They remind me of clouds passing across the sky-an ever-changing panorama. I am in awe of surfers who navigate these fluid highways with stunning accuracy, and I thoroughly enjoy those jaw-dropping videos of waves rolling over surfers or crashing over reefs and onto shoreline rocks. Nature in motion. Breathtaking beauty. The visual and audible rhythm is soothing. At the same time waves can be extremely dangerous, especially the undertow and hidden objects below their momentous surfaces. Nevertheless, waves are awesome to behold and I count it a privilege whenever I can be near them (on or next to land, that is). While on the coast of sunny Punta Cana I was reminded of the words a friend spoke to me a few weeks ago. 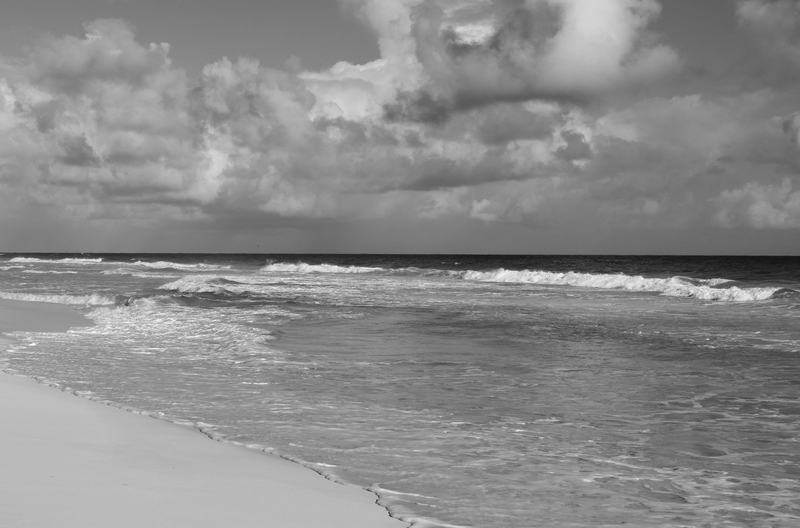 Tom lives in Florida and spends time lapping up the soft wave action of the panhandle. 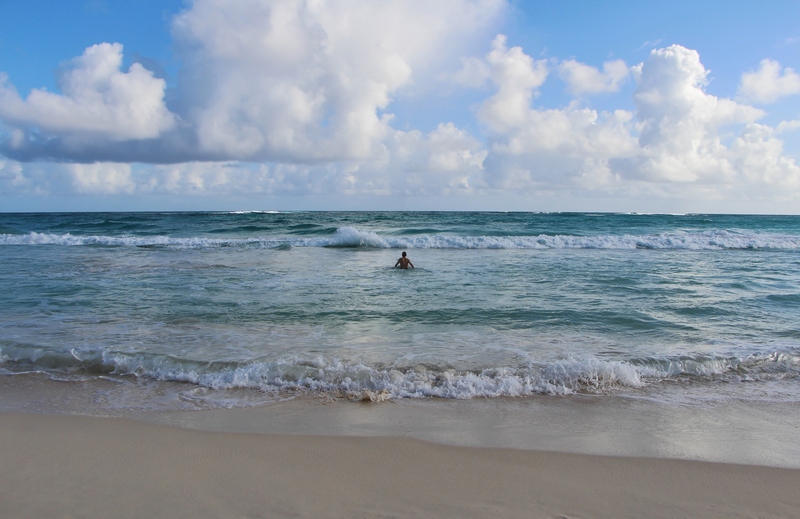 He often sits in the shallow water as the waves gently roll into him…repeatedly without end. He loves that. Tom discovered he has a very serious form of lymphoma cancer which devastated his body in short order. The good news is that his type of cancer is curable. However, the treatments last five months with week-long infusions, then rest and more infusions. Tom is away from his home during these treatments. His body suffered serious bone deterioration in joints and along his spine. Surgeries were necessary. It has been rough sailing for him and his wife. You’re probably wondering why I’m talking about Tom in the same context as waves. I’ll tell you. Before our vacation, I met with Tom for lunch and he explained the whole ordeal with cancer, treatments, etc. No pity-party, just facts. I’ll never forget the part where he talked about this journey and how his faith played a part in him keeping a positive attitude despite the circumstances. As he sat in his wheelchair, he kept motioning with his arms; he would extend them outward and then draw them inward in unison, like he was rowing a boat. He told me that God’s grace flowed into him just like the waves gently rolled into his chest as he sat in the shallow water of the ocean. Back and forth his arms moved. Then he said, ” I’m blessed, you know. I’ve been given so much and don’t deserve it all “.